You’ve probably seen some of Vincent Laforet’s photos: crisp, glowing views of Times Square from miles above; sandy shores spotted with vibrant beach blankets; and airports that look like toy towns through the optical trickery of tilt shift lenses. 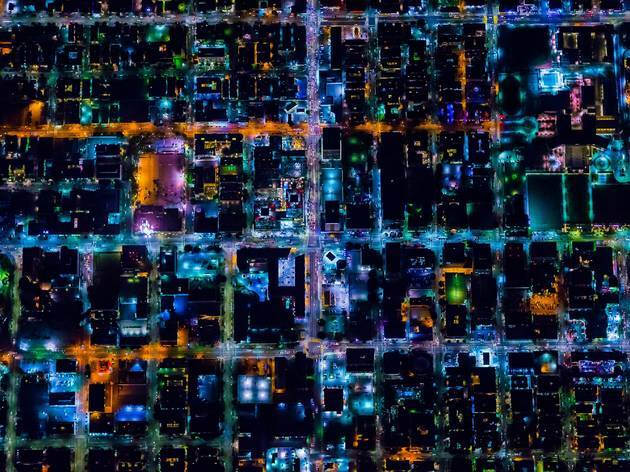 Laforet his taken a bit of that high altitude magic to cityscapes around the world with this series of mostly nighttime photos shot from above 5,000 feet. In addition to Los Angeles, the show includes Laforet's photos of New York, Chicago, Los Angeles, Las Vegas, Berlin, London, Miami, San Francisco, Barcelona and Sydney. 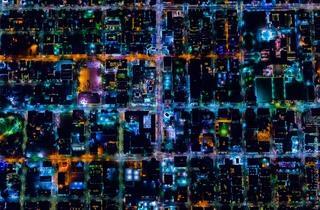 Check out our conversation with Vincent Laforet about his Los Angeles photographs.